Every PCSC student and staff member will receive a #QuakerFace to bring home with them today. On the back, you’ll find some simple instructions and an explanation, but basically, think of this as the Plainfield version of Flat Stanley. Take your #QuakerFace with you over the next few weeks and snap a selfie to share on social media (you’ll find our account info on the back of the Quaker). Whether you’re at school or work, a ballgame or dance practice, visiting grandparents or enjoying our amazing parks, show your Quaker spirit and share your photos. The purpose behind this effort is simple: in Plainfield, we’re all Quakers. We’re launching this today because we’re just under two weeks away from PHS Homecoming on Friday, Sept. 15! The events leading up to (and including!) the Homecoming football game make for some ideal #QuakerFaces photo ops! Important Homecoming notes: PHS students will once again be hosting the Homecoming Carnival, beginning Friday at 4:30, followed by the parade at 5:30. Kickoff is at 7:00. The #QuakerFaces campaign will run all year, so we hope you’ll take your Quaker man with you on vacations, business trips, sports competitions, etc. Let’s show one another our #QuakerFaces, and expand our world while we’re at it! 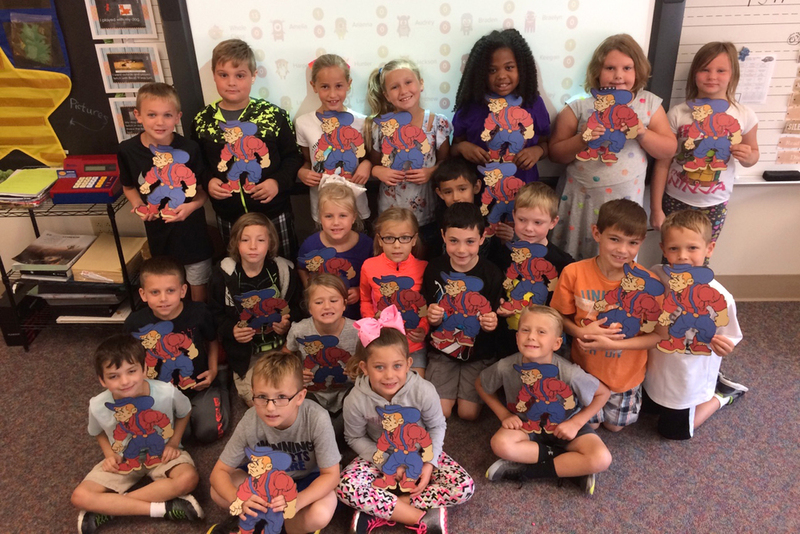 Pictured above: Students in Mrs. Craney's 2nd grade class show off their smiles and #QuakerFaces.